Metal injection molding offers advantages to allow for producing complex, three dimensional shapes in medical device components that would be virtually impossible to achieve with conventional fabrication technologies. 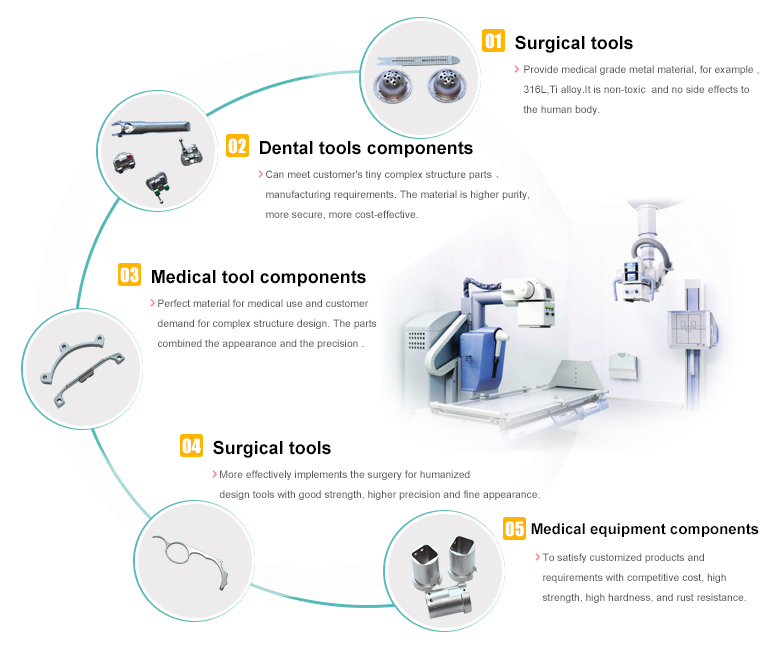 These advantages include superior quality small part component manufacturing of intricate shapes and highly engineered alloys to provide increased product offerings at a cost-effective price for medical instrument providers. The metal injection molding components have been used in a variety of bariatric surgical tools used for gastric bypass and gastric stapling applications. The components are used in both the handheld mechanisms for drive components, as well as articulation components for varying the direction of the working end of the device. Metal injection molding technique used in the manufacture of orthodontic brackets, surgical instruments, miniaturized graspers, scissors, and sewing units, drug delivery devices, surgical implants, hearing aids, dental equipment & implants, and joint replacements. While orthodontic devices were traditionally manufactured using investment casting, manufacturers have realized the cost savings and high quality products that Metal Injection Molding provides. MIM is able to produce strong, smooth, and precise components in a variety of metals, including, most commonly, stainless steel.